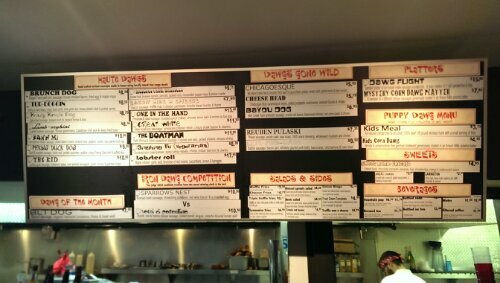 All sausages are ground on premise. 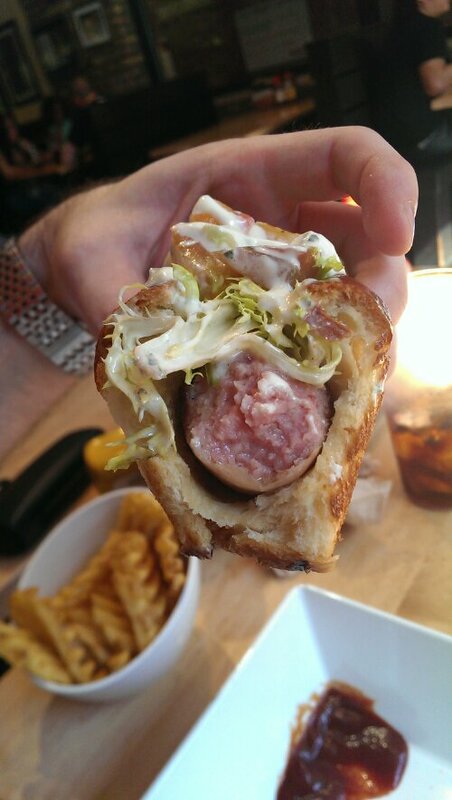 Toasty, buttery New England style hot dog roll. I recommend going with friends so you can share. Choosing just one can be nearly impossible. Everything is delicious – prepared with precision and care. 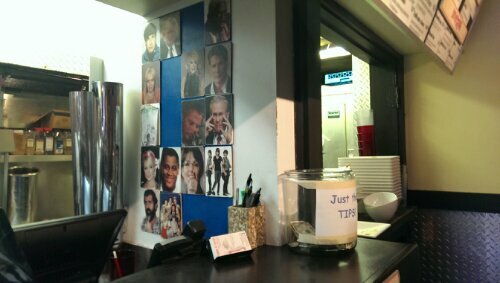 Choose your “celebrity” from the wall so they can bring you the grub you ordered. 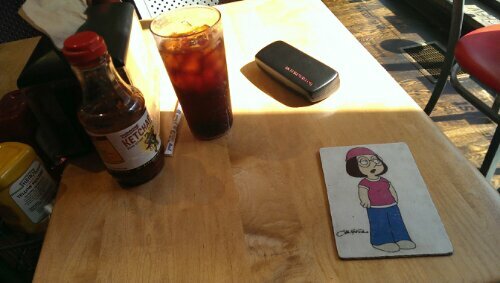 Naturally, Meg. Ready to rock. The B.L.T. Sausage. 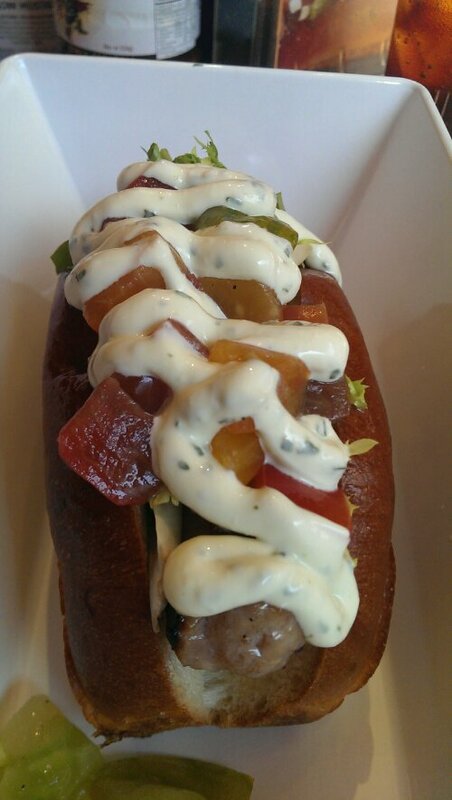 Bacon Sausage, Organic Heirloom Tomatoes, Frisee & Basil Aioli. Superb. 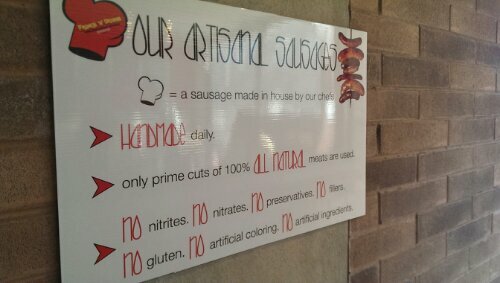 The depth of flavor in all of their house made sausages is by far the best in the city. You can taste the quality of the ingredients even in the well seasoned minced meat. Smooth texture, a nice crisp casing, the balance of ingredients and proportion is key and they nail it. Again, I will admit that Hot Doug’s is the original, but I do feel that Franks ‘n Dawgs puts out an overall superior product. 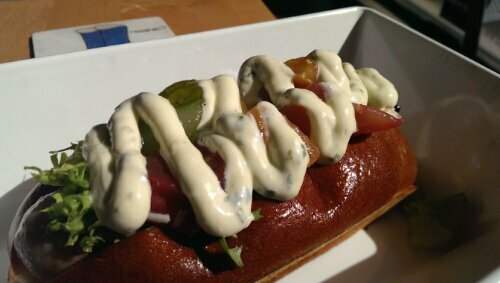 I enjoy the heartier hot dog roll, though I understand many think it’s too substantial – that’s fine. 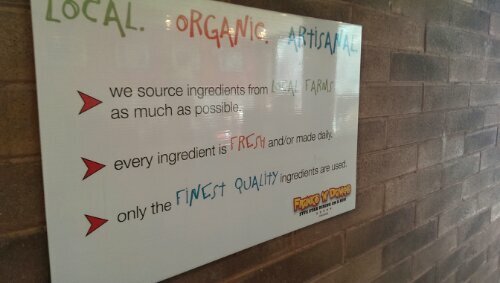 All organic ingredients and sausages made in house make the difference. 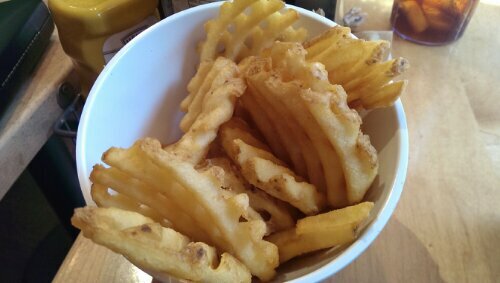 If you do stop by be sure and try the Lyonnaise or truffle fries (though regular fries pictured). Don’t forget to tell ’em Hungry Hungry sent ya.